It’s warming up in San Francisco, and I feel like time has slipped by so fast. My back burner list keeps growing, and that one thing I thought I’d have more time for next month is now here and the case is still the same – there isn’t enough time in the day. There are a couple of things I’ve been meaning to do for Planner Creative; I want to change the format of my site, now that I’m finding somewhat of a flow, I’m realizing I need to rearrange some things. I also have a side business with my best friend working with social media and Planner Creative has been a personal way for me to explore using certain platforms to build a brand. For me, this is my passion project, a place for me to post content that I enjoy, content that I create for myself. In doing so, I’ve been learning a lot about WordPress, SEO, analytics, and all things under the social media sun. I learn by doing, and so here we are and I thank you for joining me in my creative space as I learn and grow as a storyteller – I realize this is what I really enjoy. My day job has been pretty stressful, and this month things are finally letting up and I have some vacations set in place that I’m really looking forward to. This month I will be traveling to New Mexico! Living in the city, it’s funny how you can get a bit of island fever, so I really look forward to expansiveness of the beautiful desert. I’m also eager to try my hand at photography out there so we can look forward to that. My boyfriend and I have been studying gypsy jazz together. He plays guitar and I picked up the stand up bass again. As a classically trained musician, it’s been fun playing out of my comfort zone relying on ear and intuition instead of the music sheet. Django Reinhardt was born in Belgium. He injured two fingers in a fire accident and adapted his technique to accommodate his loss. He is known as one of the most important jazz guitar soloist blending in swing, Roma music tradition and his unique technique that even some four-fingered guitarist can’t match. This is a re-read. After I quit college soccer, I went through this whole existential crisis. I was no longer a “student athlete” and I was living back at home, wanting to do more than just go to school. I was so annoyed with the fact that I had to waste my time and brain space working up this system we are told we have to do in order to do what we want. 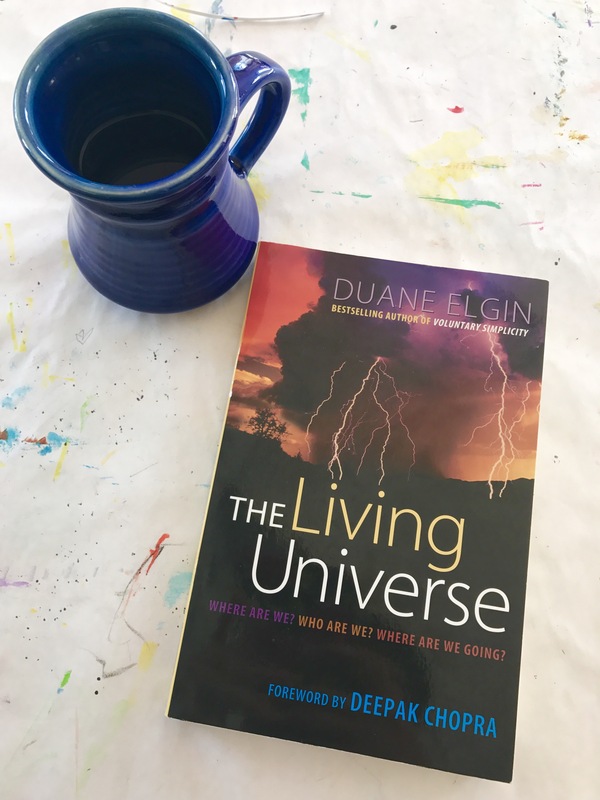 For me this book put into perspective the beauty of my existence in this massive universe. When we gaze at the enormity of the universe, with its billions of swirling galaxies, it seems natural to conclude that we are very small. When we see a universe that extends trillions upon trillions of kilometers, it is reasonable to think we are insignificant in the cosmic scale of things. However, this commonsense view of ourselves is radically mistaken. We are not small creatures. In overall scale of the universe, we are giants! This passage really stood out to me the first time I read this book in 2010. So much so that as I looked up at the sky the other day while waiting for the bus, I remembered this paragraph, and then I realized how I never really looked up at the sky anymore. I’ve been grinding hard, walking fast from one place to the next, forgetting about the expansiveness of my existence. So I thought I’d track down this book and find some new existential inspiration; I could really use some profound thought in my life right now to help slow me down. My goal last month was to start incorporating a morning workout routine, since I was coming up with too many excuses after work. It was also too stressful for me to go to the gym after work with the list of other things I have to squeeze in on the weeknights. Playing soccer my whole life, I often struggled with working out indoors. I would get too frustrated on the cardio machines, and just didn’t have the focus. In April I really made an effort to work past the frustrations and it’s finally paid off. Waking up early has become a lot easier especially now that I’ve built up the habit of prepping my gym bag the night before. To cure my workout boredom, I’ve been spending a lot of time on Pinterest to come up with my workout routine. One blogger I really enjoy is Karen Lushious . If you go to her website, she does each pose as a boomerang so you can see the full motion of the pose, which I think is pretty clever. I’ve been addicted to this workout below. With summer right around the corner, I have a lot of things to look forward to, and a lot of things to keep afloat as I prep myself for success. Keeping track of my daily habits as seen in last month’s layouts has really helped me stay on top of my game. As commitments wrap up, I look forward to having more time on my hands to create and reshape my lifestyle. Thanks for joining me on this month’s mood. Keep it moving, and happy planning.